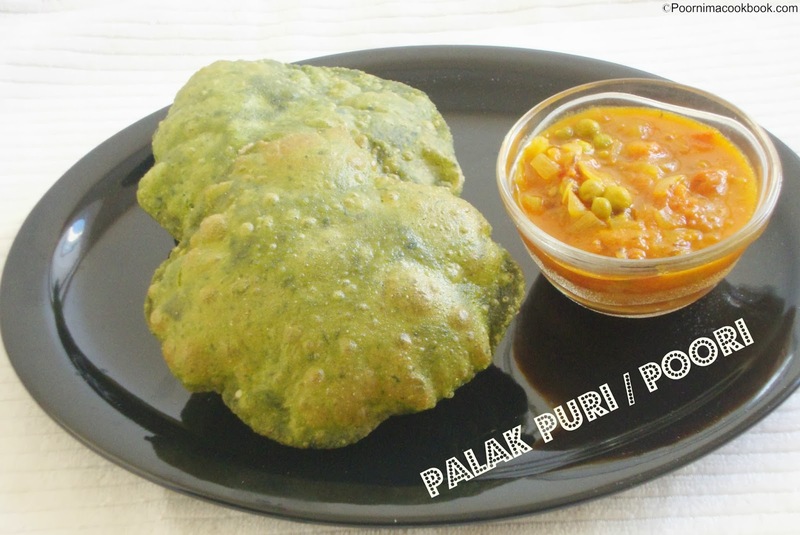 Palak poori is healthy variation to our kid's favorite breakfast item and also a tricky way to make them eat spinach! Remove stems and wash spinach thoroughly. Blanch spinach and green chilies in boiling water. Take it out and allow to cool. Grind spinach and green chilli into a fine paste and keep aside. Take a wide bowl; add wheat flour and salt. Mix well. 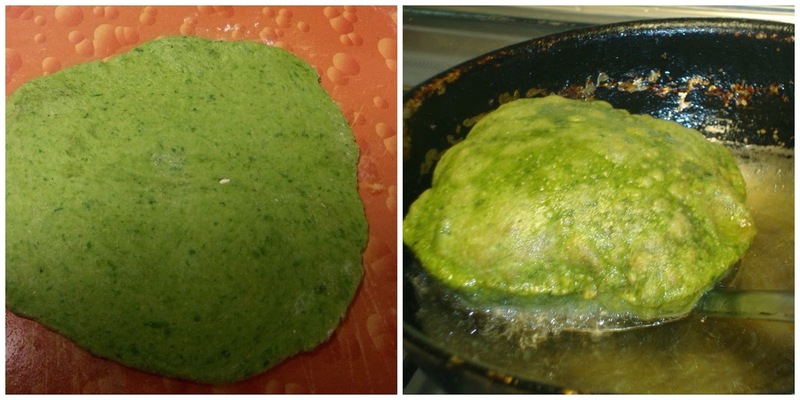 Next add palak puree little by little and knead well to form a tight dough. Divide the dough into lemon sized balls and flattened them using rolling pin; make into round shape as we do for normal pooris. Repeat with the remaing dough. Heat the oil in a kadai and fry each pooris on both sides till golden and crisp. Serve hot with Channa masala or with Potato masala. 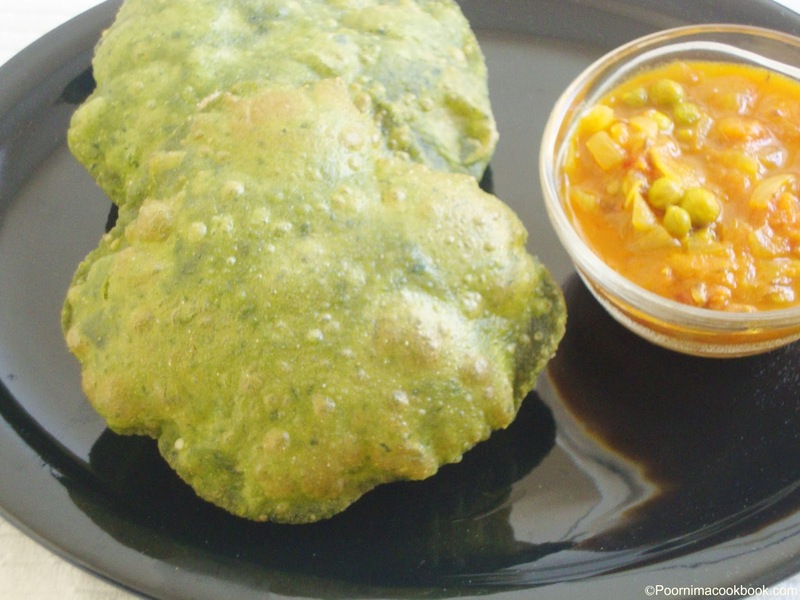 it is a perfect and healthy version for poori! Give me that plate, i want to finish that puffy pooris. Healthy version of pooris. So Yum. Perfectly puffed up pooris..Never got this way! !